LAS VEGAS, Jan. 6, 2017 /PRNewswire/ — Customized Internet of Things (IoT) intelligent hardware solutions provider Focalcrest Technology released its smart home bridging solution, Mixtile Hub, at the Consumer Electronics Show (CES) on January 5, 2017. Mixtile Hub is the world’s first smart home bridging solution to support smart home devices from different brands to access the same platform. The newly released Mixtile Hub can link cellphone with compatible smart home products, surveillance devices and probe sensors through ZigBee and Z-Wave. 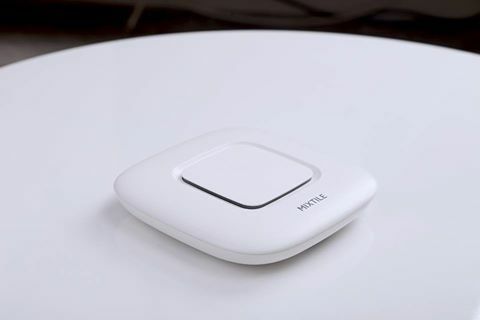 In addition, the Mixtile Hub eliminates the complex procedure of building a communicating platform for smart home devices from scratch and lowers the entry barrier for ZigBee and Z-wave device manufacturers to connect and communicate with all of the different systems. It also acts as a normal smart home hub to link with external devices from various manufacturers and realize scene linkage. Aside from remote control and voice control, it also supports auto-alarm and high decibel warning and continues working even during a power failure. Founded in 2013, Focalcrest provides rapid and customized designs of mature IoT solutions for its customers including the smart home bridging solution and smart business Wi-Fi solutions. A strong supporter and partner of the companies that believe IoT changes life, Focalcrest is committed to unlocking IoT product innovation by offering higher product quality with less R&D cost and shorter development cycle.